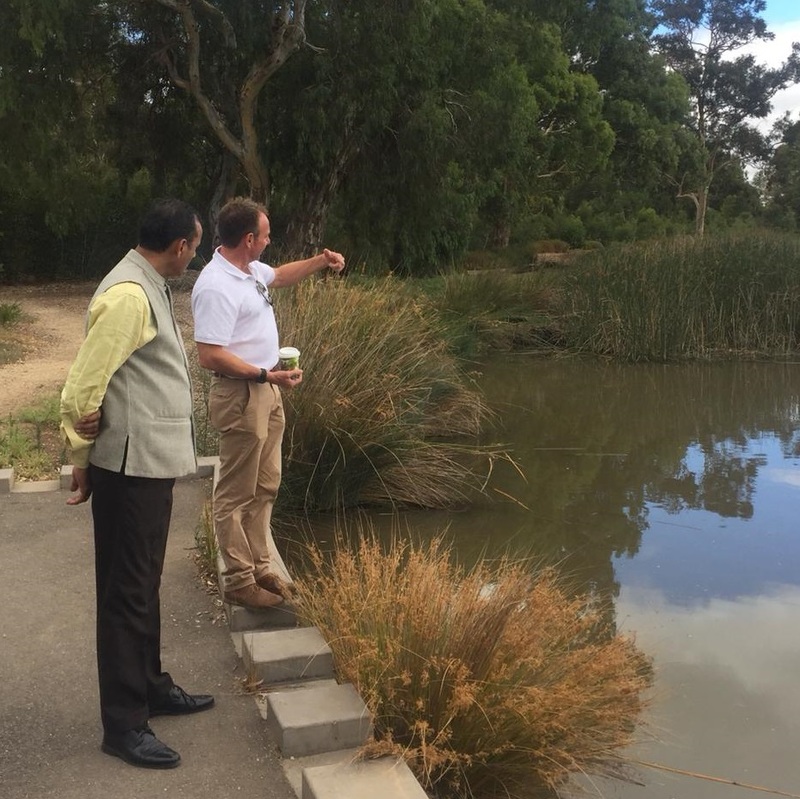 The South Australian Government and ICE WaRM were delighted to host the delegation from the Rajasthan Centre of Excellence of Water Resources Management (RaCE WaRM) to Adelaide and Canberra in February, to share the story of extreme water challenges in Rajasthan, magnified by a failed monsoon season in 2018. Australia’s experience in collaborative centres of excellence which support evidence based water policy to meet the challenges of water scarcity, water quality, resilience and liveability is highly regarded internationally. Mr Peter Varghese AO, in his report to the Australian Government “An India Economic Strategy to 2035” identified Joint Australia India Centres of Excellence was identified as a key economic engagement strategy. Having the head of the centre, Mr Shrivastava, visit South Australia has further strengthened the partnership between Rajasthan and South Australian on water. “We now have a very clear pathway for a number of joint water projects across Rajasthan, such as in pesticides management, groundwater modelling and managed aquifer recharge”, said Mr Steve Morton, Manager International Business with the South Australian Department for Environment and Water. “I would expect to see an increasing number of South Australian water organisations and individuals working on critical water challenges across India through RaCE WaRM over the coming years. Mr Srivastava also visited Canberra and provided briefings on Rajasthan’s immense challenge of providing access to safe water for 76 million people, in a water scarce state, along with the challenge of meeting water needs for food security and economic development. “The collaboration between the government agencies in Rajasthan, the universities and the private sector in both India and Australia has been inspiring, and a model for the development of the leadership and confidence needed to address the wicked challenges of improving public health and managing water scarcity in the face of climate change.” said ICE WaRM’s Managing Director Darryl Day. An example is the work by the Australian company Hydro-dis which has partnered with RaCE WaRM to trial innovative water disinfection technology in collaboration with the Malaviya National Institute of Technology (MNIT). This has led to an application for regulatory approval for the Hydro-dis technology in India. “Without the support of Centre of Excellence, taking the Hydro-dis technology to India would not have progressed at the current rate. The support and guidance provided by the team at RaCE WaRM and its Director Arun Shrivastava, has enabled Hydro-dis to navigate the process”. said Mark Carey, CEO of Hydro-dis. Contact Darryl Day at ICE WaRM if you are interested in collaborative opportunities to work through RaCE WaRM in India.